When I heard the news the night he won this competition, I was THRILLED. I hardly slept at all. I kept going over this in my head, and the more I thought about it, the more I began to reflect upon how this came about in the first place. 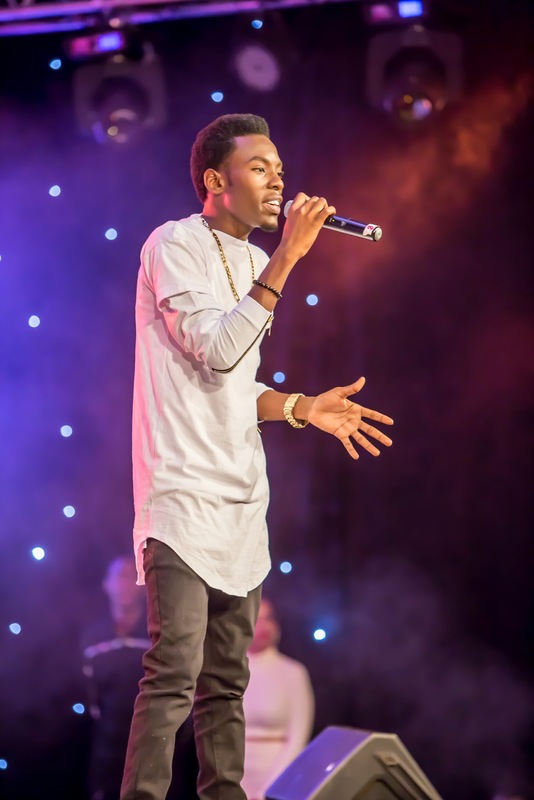 How I pitched my way into Airtel Trace Music Star was SO déjà-vu. So uncanny. When news of the competition was flying about on TV and radio, I picked up the phone and rang Anethy Muga, the marketing person at Airtel, and I told her quite frankly... "if you want Tanzania to win this competition, you need me. I must come on board. I am your man!" I remember she asked me, "but who are you?" and I replied, "my name is Joett, I'm a vocal coach, and I am the best!" She took me very seriously, she contacted Trace in South Africa, and then sent off my profile. When TRACE Managing Director East Africa Steve Agutu came to town, we had a meeting and there you have it... 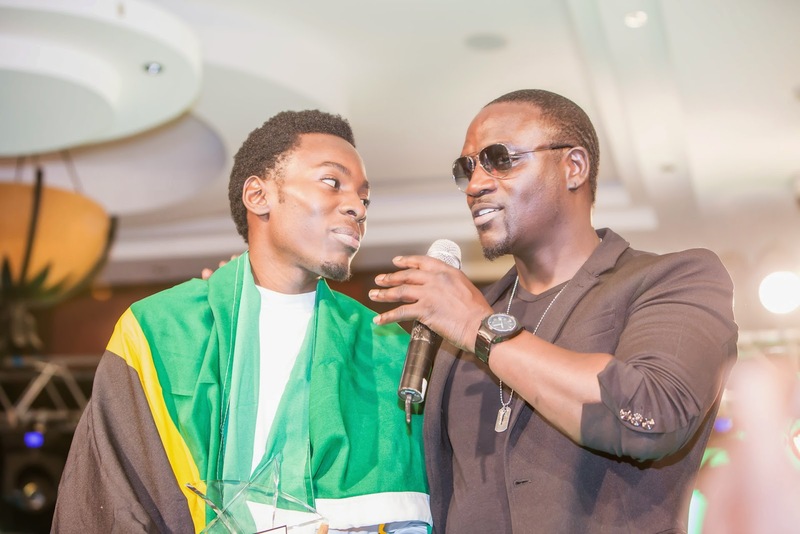 I was on board as judge AND vocal coach to the Top 5 Tanzania contestants! And what's even MORE unbelievable is when I was training Mayunga for the Kenya Grande Finale, I told him on numreous occasions, that he was going to win this competition... and he did! I really want to thank Steve Agutu, AND Anethy Muga for believing in me enough to entrust me with the job. What a happy ending. We certainly should do this again next year. Akon: Akon’s shimmering, soulful voice has propelled countless hits across genres—from pop and R&B to hip-hop and dance. In addition to his own chart-dominating singles «Smack That» and «I Wanna Love You», he’s made a staggering 300 guest appearances for icons including Michael Jackson, Lady Gaga, Gwen Stefani, Lil Wayne, R. Kelly, and Eminem. With over 35 million albums sold worldwide, five Grammy Award nominations, and 45 Billboard Hot 100 songs under his belt, he’s simply unstoppable. Lynnsha: Lynnsha is a multi-platinium artist from the French Carribbean. She started to sing at 7 years old and debuts her career as a chorist for major Afro-Caribbean artists. In 2004, her first single “Rendez-vous” met great success. 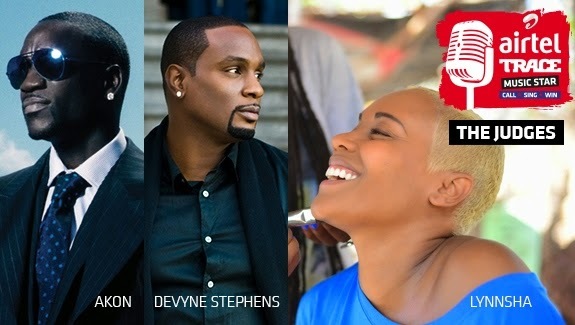 She was featured in «Secret Lover» with Wyclef Jean, and with hottest French singers such as Passi and Admiral T. Lynnsha collaborates with Craig David on “Walking Away”. She reached the top of the charts with “Maldon” featuring Fanny J and Louisy Joseph. Devyne Stephens: Devyne Stephens has amassed a very impressive track record and list of accomplishments. He has created mega-stars and has had an undeniable footprint on the development of some of the biggest entertainers of our time including such notable artist as Akon, R Kelly, Usher, Mary J Blige, Mariah Carey, Lady GaGa, Gwen Stefani, Jay-Z, Alicia Keys, Sean “P. Diddy” Combs, Pink, Sting, Ludacris, Ciara, TLC and many more. Devyne has been referred to at times as the “Berry Gordy” of his generation!! In case this hadn’t crossed your mind, a soulful interpretation of a song comes from within. A tone that touches the soul of another person is perhaps the most wonderful gift from God that only you, the singer, endowed with the gift of voice can deliver. The definitive school of soul music that has inspired a multitude of genres and transcended generations in the last half a century—the way I see it, goes back to the 1970s. And if you really want to know, the record label that brought us the greatest soul music of all time in that era was Barry Gordy’s Motown Records. In this article, I’m going to give you some tips on the music you ought to be listening to IF you want to ignite that soulful flare from within. Learning from a stable of legendary singers like 70s Motown pre-computer, pre-auto tune productions will have you experience your growth possibilities as a singer take on a whole new dimension. In my first installment, looking at my own definitive 70s Motown record collection, I draw inspiration from Stevie Wonder with Signed, Sealed, Delivered; Detroit Spinners with It’s A Shame; Diana Ross – Ain’t No Mountain High Enough; Marvin Gaye – Abraham, Martin And John; Diana Ross & Marvin Gaye – Stop Look And Listen; The Supremes – Stoned Love; The Commodores – Brick House; The Commodores – Flying High; The Commodores – Zoom and last but not least, Thelma Houston – Don’t Leave Me This Way. I will be listing more Motown material in my next installment, but for now, what I’d like you to do is to run a search for these songs online to get a feel for the way songs were delivered back then—with so much passion, so much soul… and be inspired to develop your own soulful style by learning from the greats! 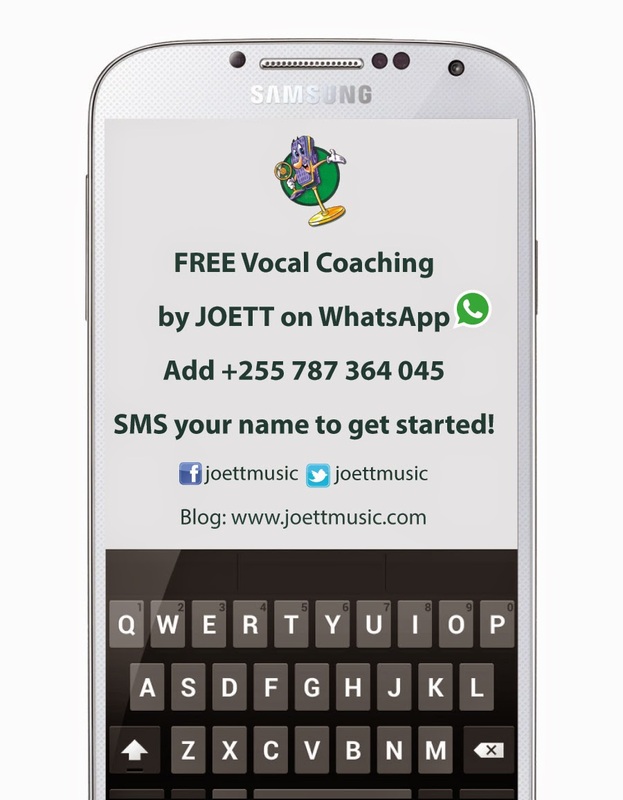 I offer FREE vocal coaching via WhatsApp. 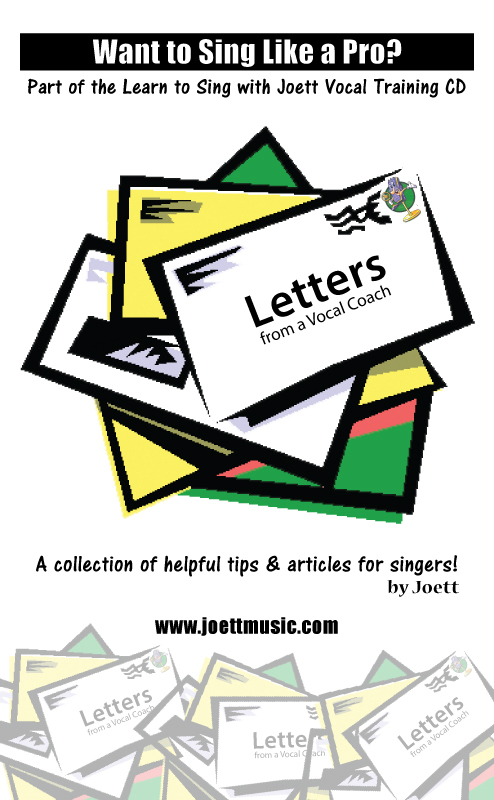 Download FREE MP3 to vocal exercises here! Vocal Coach, Dar es salaam.